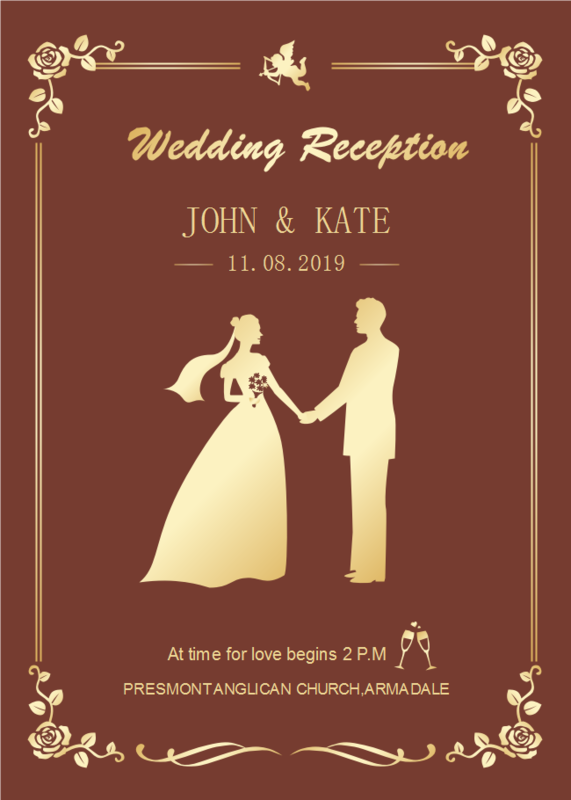 Description: The vintage style wedding invitation template features maroon background and gold fonts and colors. Various wedding invitation templates are created in advance. Check Edraw template gallery to view the complete templates and download for free. Choose from a plenty of well-designed invitations templates. Create your own attractive invitations with Edraw right now!